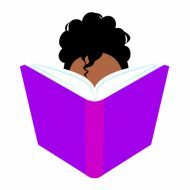 Black Chick Lit a bi-monthly podcast that talks books by and about black women. You can find us on iTunes and Google Play. Listen in as we drink too much wine and laugh too hard at our own jokes. Each month, we host an in-depth look at a title written by a black woman and its author. We read across genres and forms, including literary fiction, non-fiction, YA, poetry and urban fiction. Previous episodes include Queen Sugar, by Natalie Baszile; The Hate U Give, by Angie Thomas; and Swing Time by Zadie Smith. BCL Chats are hosted in between book discussion episodes. Each month, we ask listeners to share their opinions about different aspects of reader life. Check out this episode where we discuss books every black woman should read. Questions? Comments? Tweet us at @blackchicklit or email us at contact@blackchicklit. Do you have a book or bookish service you’d like to promote? Learn more about how you can advertise with Black Chick Lit and get your message out to hundreds of diverse readers.